MUMBAI (Bloomberg) -- Fiat and Tata Motors may be headed for divorce after the two carmakers ended a deal this month that had allowed Fiat to sell cars via Tata's Indian dealerships for the past six years. The move could pave the way for Fiat to strengthen its ties to Suzuki Motor in Asia's third-largest auto market, analysts at IHS Automotive and Cyrrus AS said. Fiat and the Japanese carmaker have worked together for almost a decade, and expanding those ties could help Fiat boost its presence in the country. Suzuki, which accounts for 42 percent of auto sales in India, may in turn benefit from Fiat's diesel engines and network of dealers in markets such as Brazil, Latin America's biggest economy. "A marriage with Suzuki would be win-win for both Fiat and Suzuki," said Deepesh Rathore, the New Delhi-based managing director of IHS Automotive in India. "The possibilities are endless." While the acquisition of Chrysler Group strengthened Fiat's foothold in the United States, the company is still missing out on Asia, which accounted for only around 3 percent of its 2011 sales. Neither Suzuki, which wants to end its own partnership with Volkswagen, nor Fiat would comment on the potential for an alliance, though Fiat CEO Sergio Marchionne has acknowledged that a partnership in Asia would be beneficial. "I don't have discussions going on with anybody in particular other than general discussions about collaborations," Marchionne said in an April 26 call with analysts. "But we continue to work at this issue." The Asia Pacific region, excluding Japan, accounted for about 60 percent of the 2.56 million vehicles Suzuki sold in the year ended March 31, company data show. It has dealers across Asia and nine factories in eight countries in the region. Maruti Suzuki India Ltd., the Suzuki-controlled venture that is India's biggest carmaker, sold 855,730 cars in the country in the year ended March 31. In 2006, Fiat and Suzuki began selling an SUV that they jointly developed, branded the Sedici by Fiat and the SX4 by Suzuki. In 2004, a Fiat venture with General Motors Co. licensed Suzuki to make diesel engines for cars sold in India and Hungary. In 2009, Suzuki started buying 2-liter diesel engines from Fiat for the SX4. In January, Fiat began supplying Maruti with 100,000 1.3-liter diesel engines a year. Fiat's venture with Tata Motors, meanwhile, has struggled. In 2007, the two companies began production in a joint venture with a capacity of 200,000 cars and 350,000 engines annually from a factory near Pune, western India. The venture makes 1.3-liter diesel engines that Fiat, Tata and Maruti all use in various models, as well as 1.2- and 1.4- liter gasoline engines for Fiat and Tata cars. In the year ended March 31, the venture sold 16,073 vehicles in India, a 24 percent decline, compared with the 2.2 percent increase in passenger-car sales across the industry. Tata Motors, India's biggest truckmaker, started making passenger cars in 1998, when it introduced the locally developed Indica hatchback. It acquired Jaguar and Land Rover from Ford in June 2008. The luxury British brands have since been the focus of Tata Motors' growth. Revenue at Jaguar Land Rover rose 41 percent in the quarter ended in December, and the business contributed about 70 percent of Tata's net sales. Tata Motors Chairman Ratan Tata served on Fiat's board for six years, though his term ended last month. "Clearly, the Tata venture has not really worked out," said Ashvin Chotai, managing director at industry researcher Intelligence Automotive Asia. "Tata has too many things in its own ventures to worry about, especially after Jaguar Land Rover." Tata spokesman Debasis Ray said the venture with Fiat doesn't limit what the partners can do with other companies. 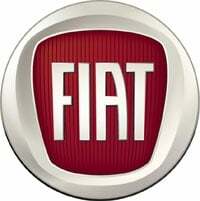 "The Fiat-Tata alliance is not cast in stone," Ray said. Suzuki may also present Fiat with its own challenges. In November, the Japanese company began arbitration procedures to end a partnership with Volkswagen. Each side has accused the other of breaching their cooperation agreement, meant to supply Suzuki with technology and provide VW with access to the Indian market. "Marchionne is also risking a lot by trying to partner with Suzuki," said Ferdinand Dudenhoffer, director of the Center for Automotive Research at the University of Duisburg-Essen. For its part, Suzuki may be reluctant to work with Fiat as it may not have as much to gain, said Pradeep Saxena, executive director at consultant TNS Automotive in India. "There is very little help that Fiat can provide Suzuki except a timely supply of engines," said Saxena. "I am not sure whether Suzuki would like to lend Fiat the support of its distribution channel, because it can lead to confusion in the minds of Suzuki's customers." Suzuki's market share in India, though, has been sliding as it faces growing competition. An alliance could benefit both sides, said Jiri Simara, an auto analyst at Cyrrus in Prague. "Suzuki can do the same for Fiat as Chrysler did -- a smooth approach to rich markets," Simara said. "Fiat has some things to offer as well -- it's still a sound name with many technologies Suzuki is interested in."